​Heidi Winton-Stahle began her training in Saratoga Springs, NY with world-class teachers Melissa Hayden, Elizabeth Carroll, Felix Smith, Tomislav Vuchovich, and Michael Steele. At age 17 she was accepted into The Boston Ballet School where she trained. At 18 she joined The Louisville Ballet and performed in many classical works including Serenade, La Sylphide, Billy The Kid, Romeo and Juliet, and The Nutcracker. After two years of performing with them she set of for college at The University at Buffalo to pursue a degree in dance. After school, she joined Ontario Ballet Theater in Toronto. Heidi loves teaching and has continued to pursue various ballet teaching opportunities since then. In 2001 she started her own company, Sun King Dance, which focuses on providing learning opportunities for adult students. 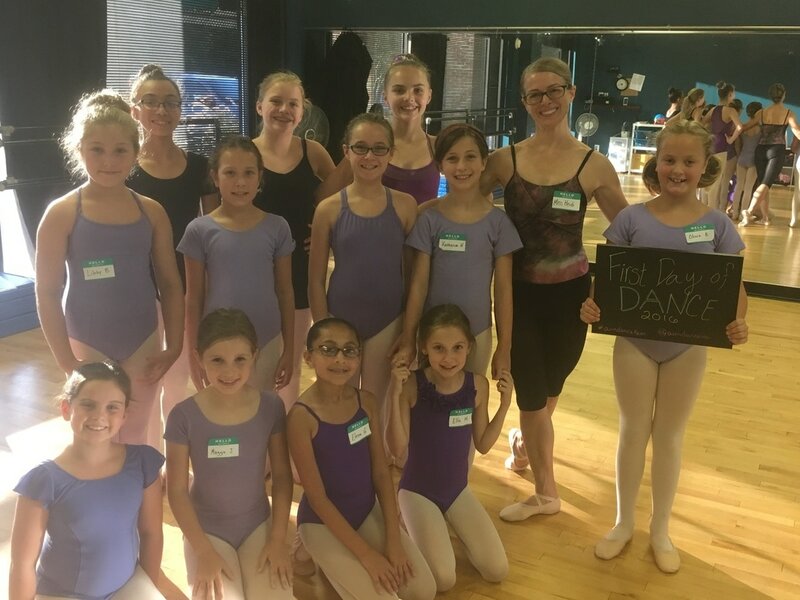 As AIM's Ballet Director, Heidi is responsible for developing and implementing the school's Ballet curriculum and training faculty. .
What Miss Heidi loves about teaching at AIM. Photos by Jenny McQueen & Dave Parrish.